With Simultaneous Localisation and Mapping (SLAM) gaining traction in the world of industrial vision, UKIVA is delighted to welcome Dr Luca Benedetti from Kudan to deliver a keynote address at the 2019 UKIVA Machine Vision Conference. This is entitled: ‘ Visual SLAM in the Wild’, and will describe the real-world challenges of deploying a SLAM system across a variety of applications as well as designing a SLAM system that's versatile both in terms of hardware and software. Artificial perception technology and Kudan Over the years, Artificial Intelligence (AI) has become the backbone technology as the brain for machines. However, it only consists of functionality for learning semantic extraction. Kudan is accelerating the evolution of Virtuality (AR/MR/VR) and Robotics (automobile/ drone/robot) by developing computer software algorithms classified as Artificial Perception (AP). Kudan’s AP algorithms are the machine equivalent of human eyes. With the combination of AP and AI, machines are getting closer to sensing and interacting with the world like human do, utilising both eyes and brain. Kudan has been developing SLAM algorithms that can be deployed on a variety of different products that use different sensors, such as drones, robots, vehicles, and mobile devices. SLAM technology SLAM refers to the process of determining the position and orientation (localisation) of a sensor with respect to its surroundings, as well as simultaneously building a map of the surrounding environment. Over the years, various SLAM algorithms have been developed to solve this problem (at least approximately), which typically use either a combination of a camera and a depth sensor, or two cameras together (stereo vision) embedded on the device. Most modern SLAM systems used today are based on vision, as they use one or more cameras as the main sensing device. Using cameras gives many advantages to SLAM due to the inherent richness of the image data. Any visual SLAM system has to extract the depth of the feature points in the image. 3D vision can perform location and mapping functions when neither the environment nor the location of the sensor is known. Deep learning has undeniably taken the machine vision industry by storm. Its apparent simplification of the solution building process certainly justifies the attention, however, misconceptions abound on how to apply the technology to machine vision applications. Training a deep neural network is as much about the knowhow and experience of those doing it as it is about the richness and quality of the software environment used to perform it. This presentation will provide an overview of the activities and considerations needed to train an effective deep neural network for machine vision: from collecting, preparing and using the training data, to setting the hyper-parameters and the potential pitfalls that can adversely affect the process and result. Embedded is a hot topic in Machine Vision and beyond. Arguably it has been talked about more than it has been applied, so what should the decision process be? In this talk, Jon Vickers defines the terms, discusses the advantages and shows where Embedded Systems can work. But they aren’t always appropriate – where do they not work, where is there no advantage when is it more difficult and more expensive than a traditional system? The Internet of Things and autonomous working robots are not the only reasons why it is necessary to analyse and react to data at the point of origin. The volume of sensor data and limited available bandwidth also calls for decisions to be made in the edge layer. As machine vision plays a major role in these decisions it is necessary to be able to move machine vision tasks from the PC to edge devices. In this talk we will discuss why a classical vision sensor is often too restricted, why PC-based machine vision is often inappropriate and the concept of IDS NXT, a solution for edge based processing including AI-based machine vision applications. The Internet of Things and autonomous working robots are not the only reasons why it is necessary to analyse and react to data at the point of origin. The volume of sensor data and limited available bandwidth also calls for decisions to be made in the edge layer. As machine vision plays a major role in these decisions it is necessary to be able to move machine vision tasks from the PC to edge devices. In this talk we will discuss why a classical vision sensor is often too restricted, why PC-based machine vision is often inappropriate and the concept of IDS NXT, a solution for edge based processing including AI-based machine vision applications. Deep Learning – What’s Next? AI and Deep Learning are gaining ever increasing attention in the press – in many cases, with rather sensational and disturbing stories depicting a dystopian future! When in fact it is a really exciting time, with research and technology advances making AI an ever more familiar companion, there is no doubt that it will shape our daily life in the future (it already does!). Come discover with MVTec, the leading machine vision software company, which technologies are available right now for the machine vision industry and what the future has in store for us. Suraj will be sharing Cognex’s new breakthrough artificial intelligence ViDi, offering insights into how the technology can help leading industries (such as Automotive, Food, Packaging) in QC. Heejae Jung from SUALAB will be presenting Deep Learning-based Machine Vision solutions, which are indispensable for inspection automation in this smart factory era. To this end, he will introduce detailed technical features of SuaKIT, a deep learning-based MV software library created by SUALAB, and how it has been solving challenges in the inspection of actual production lines of its customers. Lighting is a valuable commodity in every application and getting it right is crucial. You will be guided through the basic principles of light, why we need it and how we can utilise it to improve our efficiency in the work place. The use of Short Wave Infrared imaging enables you to “See Beyond the Visible”. Creating powerful vision solutions, SWIR sensors give the ability to see beyond standard cameras and the human eye. SWIR imaging can be used in a variety of applications including electronic board inspection, identifying and sorting, surveillance, anti-counterfeiting, process quality control, and much more. Come and see for yourself how bruising on fruit appears before your eyes! How objects hidden behind thick fog and haze become clear and products packaged in opaque container become visible. With 3D Vision Systems becoming more popular and accessible, this presentation will start with reviewing the main purpose of 3D before going into more detail on the main 3D acquisition techniques (laser triangulation, stereo, time-of-light and structured light), covering the key technologies and presenting the pros and cons of each one. Finally, this session will cover 3D analysis, providing examples to show what is possible with 3D. Overall, this talk is aimed at anyone who is new to 3D Vision Systems and wants to understand more about the core technology and what can be achieved with 3D Vision. Since its launch last year, KEYENCE Multi-Spectrum Illumination Technology has proven instrumental in introducing stable inspections across a host of challenging, and even seemingly impossible applications. 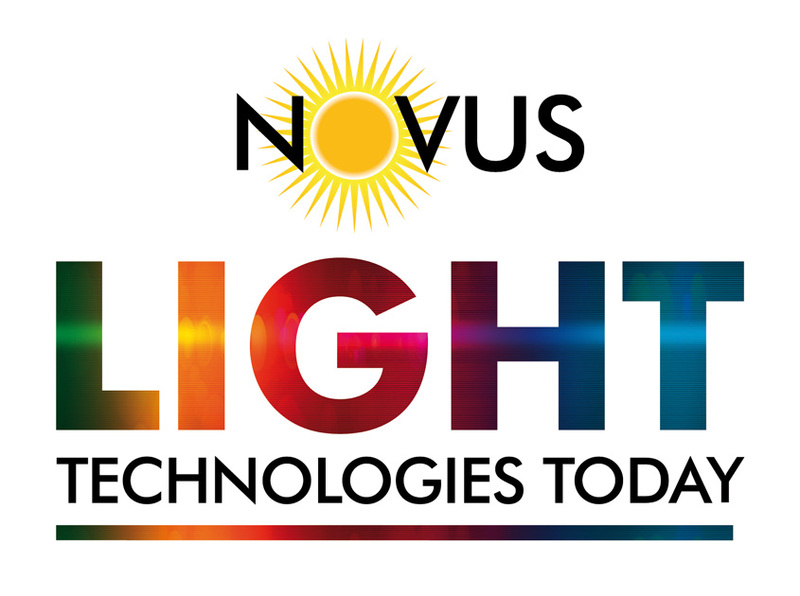 In this must-see seminar for users of machine vision, we revisit the main concepts behind Multi-Spectrum Lighting, and illustrate its potential using real-life examples from solved applications. Senior Machine Vision Applications Engineer, Cameron Millar, covers the key features and benefits of Multi-Spectrum Illumination for creating your own stable inspection applications, including colour discrimination, glare removal and simplified optimisation of lighting conditions. This short presentation will give a brief explanation of Parallax, the typical imaging problems caused by it in Machine Vision applications, and how these problems can be solved with innovative Illumination solutions. It will discuss how to: •	Produce sharper images •	Eliminate “hot spots” in images •	Take more accurate measurements •	Create higher edge definition •	Eliminate shadows •	Ensure a uniform light distribution over the field of view and introduce illumination solutions which can help to eliminate the effects of Parallax in a wide range of applications. The fast-paced developments in sensor technology enables machine vision systems to enter new markets every day. As a result, both the camera and lens portfolio available on the market diversifies more and more, making the choice of the optimum hardware components a non-trivial task. The goal of this presentation is to help vision system designers finding the optics with the best cost-to-performance ratio when creating an imaging system. Modulation Transfer Functions (MTF) of imaging lenses are a great tool when comparing the performance of different imaging lenses, but are not easy to understand and there are certain pitfalls one should avoid looking at these information-dense data sets. Accompanying examples will illustrate the impact of application specific parameters on MTF performance, such as F/#, working distance and wavelength. Last, it will be demonstrated how MTF data can be used to analyze or derive depth of field requirements. This presentation looks at the increasing use of artificial intelligence based vision systems in the logistics sector. Traditional vision systems are limited by the need for parametrisation and binary machine logic, which presents a problem in an environment of human classification and every increasing data set – such as the logistics industry. Imagine having to measure dimensions of every stock article in a distribution centre to determine whether it’s a small, medium or large parcel. But artificial intelligence brings the ability to “learn” in a similar manner to a human building their experience. This cognitive technology can be utilised in many varied areas of logistics to reduce the number of manual processes and reduce the potential for costly human decision errors and its rapidly becoming a valuable tool in this expanding market sector. Wanting to apply Machine Vision within your industry or environment has caused a few headaches in the past. Some say, a black art, some say almost wizardry. In this session we explore those aspects of wanting to deploy a solution and - hopefully - remove the mysticism and perhaps complexity of understanding that has surrounded these solutions in the past. Looking into the aspects of the simple steps of setting up a successful system and points to look for when considering what you want out of it - how do I see what is going on? Can I see how many times it has taken the picture? Can I see how many inspections have passed or failed the criterial I have set? How do I go about making changes to the criteria ? In this world of Industry 4.0 and access to data - seeing how easy this can be made available. Learn how to achieve compliance using machine vision integration in a pharmaceutical environment. In this case study, Phil Dearnaley will describe the challenges facing a manufacturing site, as well as providing insight into how the right vision application has dramatically increased site efficiencies while achieving full compliance with FDA regulations. Production of completely defect free parts with perfect surface finish is a challenge for many industrial sectors. Yet the expectation by the user of the appearance of these parts is ever increasing. Even the smallest of defects that are only visible under special lighting conditions can result in a part being rejected by the user, even though it’s functional performance is not compromised. Usually the defects to be detected are smaller than the manufacturing tolerance of the part, making it a challenge for conventional CAD-based comparison measurement systems to detect them. sufaceCONTROL is a 3D vision inspection system with patented artificial intelligent, AI algorithms, developed to detect and quantify the dimensions of surface defects, even to single microns in an inline industrial environment. Its measurement capability and ease of integration for both offline and inline environments, has opened up new opportunities for automated visual inspection which is not possible with current industrial 3D vision technology. Applications are being solved in the aerospace and automotive industry, medical part production, domestic appliances, consumer electronics, hand held devices any many more. The presentation will present the technology, system configuration and performance, and present used case examples for several industrial sectors. This presentation will discuss the use of industrial machine vision to help increase sustainability in the food processing industry. In particular, the speaker will look at how, by adding machine vision to existing processes, food waste both during production, and later in store, can be significantly reduced. Examples will be given of stand-alone solutions and, where machine vision is added to an existing waste reduction technology. In this case it will be shown that by using machine vision in combination with vibration analysis it was possible to create a system to detect leaking ready meal trays, whilst still in the factory, with a much higher detection capability than previously possible. The coding and marking industry is capable of printing variable information at production speeds using a variety of technologies, such as laser, thermal inkjet and continuous inkjet. The accuracy and legibility of this information on consumer products is critical and manufacturers often have to deal with problems such as partially printed information, poor quality or even missing codes. The task of checking all products manually as they come off the packaging line is both time consuming and extremely risky, but the reading and inspecting of printing codes automatically at speed has proven to be particularly difficult due to the many application specific variables …… until now. In this seminar, Mike Hughes will consider some of the challenges of using vision technology to automatically inspect printed information. However, he will explain how these challenges can be addressed by using new and innovative methods of automatic print inspection; methods which include no font teaching, no configuration of regions of interest and no line-side PC. The appropriate 3D technique must be selected according the application, measurement task, object and material the object is built with. Every single 3D technique has it’s pros and cons and can only guarantee a certain accuracy level. In this seminar we compare different 3D techniques and distinguish between ideal and real case situations for measurement and inspection. To meet customer requirements 3D camera manufacturers need to be close to the an external 3D software development team or even better they should be the owner and programmer of the 3D algorithm. In a growing number of inline inspection applications, the quality control engineer needs to create a single 3D height map of a target that is larger than the field of view of the sensor (or sensors). Multi-view processing offers a powerful solution to this common inspection challenge. In this presentation, attendees will learn how multi-view processing can be accomplished either by (1) using multiple sensors to scan the different views of a part in order to build a fully digitized 3D model, or (2) using a robot to stitch several scans into a single model. For the multi-sensor approach, the presentation will address how to lay up and align multiple sensors to a common coordinate system. For the robot approach he will focus on the calibration of the robot to the sensor; how separate scans are stitched into one 3D model. For both approaches, the presenter will explain on how to measure features (from point cloud to height map) leveraging a dedicated inspection acceleration introduced for multi-sensor networking. MotionCam-3D: The highest resolution and highest accuracy 3D camera for sensing in rapid motion. This Seminar will offer an insight into the revolutionary innovation - MotionCam-3D from one of its co-developers, Photoneo CTO Tomas Kovacovsky. It is the best close and mid-range 3D camera for sensing in rapid motion yet, due to the highest resolution and highest accuracy in its category (ten times higher than competing technologies). Tomas will elaborate on the patented technology of Parallel Structured Light the Camera is based on, its unique features, wide array of its applicability and future plans. 3D Vision - From Buzzword to Brilliance! From the initial concept of utilising 3D technologies in Machine Vision applications to gain the extra dimension, this session will explore how the technologies have advanced over such a short space of time and evaluate differing technologies. Seeing what applications, industries and pain points within today's industrial environments can be aided and resolved using 3D Machine Vision Technologies. How the systems work and where they can be used. Driving Industry Forward with the latest technology. A new Scorpion 3D Stinger innovation from Tordivel targets OEMs. An industrial compact single camera uses 3D stereo vision to create micrometer images on the fly. Baseline from 15 mm - perfect for ID with Scorpion NeuralOCR and 3D tracking. Intel® RealSense™ technology is changing the future of 3D imaging by providing high-speed stereoscopic vision in a low-cost embedded package with a large depth of field. STEMMER IMAGING has developed a GenICam Transport Layer (GenTL) for the Intel® RealSense™ cameras to make them GenICam compliant. This greatly enhances the use of Intel® RealSense™ imaging technology in machine vision systems by providing connectivity to all GenTL-compliant software packages for further processing and analysis. Material handling automation is a growing application area for both industrial and logistic markets. Automating the pick and place task helps to increase efficiency and reduce labor cost. Many existing solutions use expensive structured light to capture a 3D point cloud in order to get an accurate representation of the object. LUCID’s new 3D camera features Sony’s new DepthSenseTM Time of Flight sensor. The new camera is designed to work indoors in local, high accuracy or coarse, high speed inspection applications. A review of the current camera interfaces available, and then a look to the future: what is coming, focusing on 5GigE and upwards, adapting to sensor speeds, advantages and restrictions, date rates and system architecture. There are more ultra high resolution cameras, in excess of 100 megapixels, coming to the market. We will explain why these cameras are needed and what applications they are used for. Are you looking for affordable spectral imaging solutions for industrial applications? Join this interactive session to learn about a new type of spectrometer, designed to be far less expensive than existing technology. Let us explore the potential of this innovation project and let us discuss example applications and use cases. The innovation department of Basler AG is continuously looking for novel technologies to meet the evolving demands of the machine vision market. Multi-sensor prism cameras offer significant advantages over single sensor cameras used in machine vision applications. Bayer, multi-line color line-scan and also hyperspectral sensors featuring color filters on top of each single pixel block-out most of the light falling onto the sensor. In contrast, multi-sensor cameras don’t block but separate the light by use of dichroic prisms: Thus (almost) no light gets lost. Advantages of prism design include better signal-to-noise ratio, higher color contrast, much lower crosstalk between color channels, lack of color interference effects as often seen in Bayer images as well as lack of halo effects as often seen in images taken with multi-linear line scan cameras. For multi-spectral applications channel separation can be customized by adapting the dichroic coating of the prisms. With the traditional machine vision industry merging with intricate measurement technologies; consistent, reliable, high-fidelity colour and spectral imaging are playing key roles in industrial quality control. SVS-Vistek GmbH Advantages of Camera-based Light and Focus Control in Industrial Imaging. It is important to understand how to select a camera for extreme temperatures and harsh environments. I will explain the selection and proper implementation of extreme temperature systems and systems in extreme environments. Implementing a camera system where temperatures extend beyond standard commercial grade 0 to 50C can create challenges in imaging performance, lifespan and potential failures. Selecting the right camera and utilization of existing technologies for the system can provide a useful image, protect your investment, increase your yield and decrease imaging system downtime. CoaXPress is a high-bandwidth digital video interface designed for transmission of uncompressed video data through a point-to-point connection. It combines high-speed serial transceiver technology and low-cost coaxial cables to form a bidirectional link between video sources (ie. cameras) and video receivers (ie. vision processors or video recorders). A CoaXPress connection incorporates a high-speed downlink (video data), a low-speed uplink for control and triggering, and DC power delivery to the camera, all within a single coaxial cable. For higher-bandwidth applications, link aggregation allows multiple cables to be used in parallel. First introduced in 2009, the standard continues to evolve. Revision 2.0 is in the process of becoming ratified, with the main advancement being faster downlink rates – up to 12.5Gbps. This ongoing improvement, combined with the scalability of the CoaXPress interface, means current and future high-performance video systems can be designed and implemented with fewer restrictions. Using a 4-position actuator, tilting movements of a 2mm thick window are used for shifting passing light with great accuracy. Although the device has several applications, it was primarily designed for Texas Instruments 0.47” DMD for image Extended Pixel Resolution. For this application a 2.7 um beam shift in four different positions enables an increased image resolution from 1080p to 4k. The XPR-25 has a clear window of 25x25 mm and was designed with most stringent specifications on accuracy, transition time and acoustic noise. With its robust design the XPR-25 is a high-tech product capable of delivering highest performance for a multitude of low cost solutions in photonics-based products. Besides being a novel imaging device for projectors, the XPR-25 beam shifter may promise equally disruptive use for additive manufacturing, metrology structured lightning, camera super resolution etc. While IIoT is one of today’s coolest buzz words, machine vision solutions have been at forefront of machine-to-machine communications since the vision industry’s inception in the 1980s. Mainly because there is no automated solution unless the machine vision data – whether it be an offset, pass/fail judgement, or other critical data – is communicated to nearby robots, manufacturing equipment and the engineers, technicians and management that operate them for subsequent action. In the past, machine vision solutions passed data along a variety of transport layers, whether it be consumer interfaces, such as gigabit ethernet, USB, or dedicated industrial interfaces such as Camera Link. Supporting data interface, transport and library standards such as GigE Vision and GenICam further improved the ease at which machine vision solutions could communicate with nearby machines. Today, these standards now extend further into the system beyond just defining the camera component through standards such as the Local Interconnect Network (LIN), Mobile Industry Processor Interface (MIPI) that enable cost-effective electronic device design and sub-assembly communication. At the same time, wired networks such as industrial gigabit ethernet, coaxial, and others are being complimented by wireless edge networks that will enable more plug-and-play operation and control with all system peripherals, not just the camera-PC pipeline. This presentation will explore how these old and new standards are enabling new, cost-effective machine vision solution designs. The technical advancement of image sensors for Machine Vision brings higher spatial resolution resulting in larger sensors and smaller pixels. Based on innovative optical design, Fujifilm developed Machine Vision lenses to meet these requirements and added new technologies like anti shock & vibration and high relative illumination lens design. We would like to explain the benefits of our technologies for your imaging system in our presentation. Machine vision systems frequently often throw up unexpected challenges when designing and implementing lighting systems. Production systems that produce complex parts, high-speed throughput and plastic, metal or paper web production each have their own, specific requirements and difficulties. Unexpected challenges may cause project delays or additional expense for the unwary designer of machine vision systems. This presentation examines the issues that commonly arise in typical applications and describes the most effective and cost-effective solutions. The result will be machine vision systems that have suitable, consistent lighting and create reliable, repeatable results from your investment. Theia Technologies Optical correction of barrel distortion in ultra wide angle lenses. Ultra wide angle lenses with low or no barrel distortion can be challenging to design and manufacture but they have many advantages in some applications. For aerial mapping and positional guidance, these rectilinear, no-distortion lenses can maintain object sizes and relationships regardless of their position in the field of view. This is important when aligning one image to another to create maps and when high speed calculations are required as in self-driving cars. However there are some other aspects such as 3D stretching that need to be considered as well. This presentation will cover the advantages and challenges of using ultra wide rectilinear lenses. Theia has developed and used ultra wide rectilinear lenses in space-borne applications, cinematography, and environmental monitoring applications to name a few. Traditionally, Machine Vision Lenses were designed to produce their best resolution at close working distances of 250-300mm. When used at different working distances the lens has changes in its aberrations that affect resolution and distortion. Ricoh have been looking for a solution to this problem to satisfy JIIA (Japan Industrial Imaging Association) the S-Rank Standard (LER-007-2012Rev2) for high performance lenses where declared specification is available over the entire image area. Using technology gained from our Imaging Systems (Photographic) Division, we have managed to integrate floating focusing mechanisms into our extremely compact high-resolution lens designs. The introduction of these floating focusing mechanisms have revolutionised the design of our machine vision lenses, allowing them to be used not only for factory automation but a wide variety of machine vision applications. Hangzhou Hikrobot Technology Co., Ltd.
As the demand rockets from clients, global logistics industry are facing rising pressure. All express companies are seeking to replace manual work with automation solutions, among which the automatic information collection system is indispensable. Barcode and volume are the 2 most important information of a parcel. Barcode is the identification of a parcel, while volume are important billing criteria. In response to the demand of modern logistics industry, vision solution has been deployed in many logistic process and improve work efficiency and reduce cost. For some years machine vision and embedded vision have coexisted side by side without interfering much with each other. But with the rise of powerful single board computers (SBC) and system on modules (SOM), those two worlds are moving ever closer together. Even though the pure processing power of embedded systems still falls behind traditional PC-based systems, they often employ dedicated hardware to accelerate certain tasks directly on the board. In this seminar, we will give an overview of the two worlds and what differentiates them. We further discuss the different approaches on the camera level. In the third part, we will address the challenges of future systems and how they will look like. On the Photon Lines Ltd booth Chromasens will present the 3DPIXA stereo line scan camera series with optical resolutions from 2.5 to 200 micron per pixel. The stereo concept provides major advantages compared to other 3D technologies. Providing colour images and height data simultaneously open up new applications for precise and fast 2D and 3D measurements. Adapted light conditions depending on the object surface can be used, e.g. co-axial light or cloudy day illumination. Another advantage is the perpendicular orientation of the camera to the object minimizing occlusions. The factory calibrated 3DPIXA stereo cameras use fast stereo algorithms running in real-time on GPU. The CS-3D-API gives access to the height map or the 3D point cloud. The CS-3D-API is integrated in common machine vision libraries. CS-3D-API is available for LabView of National Instruments and for Halcon of MVTec. Applications include inspection of metallic surfaces and of printed circuit boards. For more than 10 years ifm electronic have been developing solutions using their ToF 3D sensors and cameras. ToF offers a low cost reliable solution for many areas of automation, vehicle guidance and area monitoring. 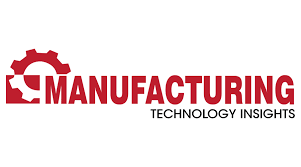 At the UKIVA show ifm electronic will present a number of applications and case studies highlighting the capabilities and uses of the their Industrial and Mobile versions of the 3d ToF camera/sensors. Embedded Vision is one of the hot topics in the machine vision camera market. During this presentation GeT Cameras, the official distributor of Daheng Imaging’s industrial cameras will explain what embedded vision means, the different interpretations that exist and how you can benefit from an embedded vision camera solution. We will show you an overview which embedded development boards, like Raspberry Pi, Odroid, Firefly and Up Board, are commonly used and which machine vision camera technology is available for these boards. After our presentation you will be able to understand the meaning of Embedded Vision, the technical implications of it and you are able to select the right embedded development board and vision camera based on costs, performance and time to market. If you can’t wait till the exhibition, and you need to have information earlier about machine vision camera technology and embedded boards, please contact us. The processes in industrial applications are increasing in speed and at the same time ever more details are required. These trends generate a huge amount of data, which must be handled, transferred and processed, often in real time. From the other side customer expectations are driving smaller, more cost-effective, easy-to-use integrated solutions, made evident by market initiatives like Industry 4.0, IoT, Embedded Vision and others. Based on higher performing image sensors and new technologies all these demands can be brought together. New image sensors combined with a sophisticated range of interfaces and embedded building blocks are the essence of Mikrotron’ s next generation of Machine Vision Cameras, allowing customers to obtain a tailor-made, but still flexible solution completely matching their requirements. One of the fastest growing technologies in industrial production is robotics. The major challenge is describing the environment to the robot so that it is able to interact with it and react to different situations appropriately. In general a robot is a blind recipient of fixed programmed orders and not able to process variable requirements. To be able to adapt is essential if the robot is to become an autonomous working colleague. 3D stereo vision systems like Ensenso give the robot the ability to see and understand its surroundings so that it can reliably perform its tasks and also know how it can move without harming or damaging other equipment. With application examples like bin picking and part handling, we will discuss in this talk the possibilities of a 3D vision system in combination with machine vision and autonomous path planning, enabling a robot to become a colleague. Picking and De-palletising applications for large objects. Robust factory automation systems for less-than-ideal-environments using enhanced stereo 3D Vision for multiple robot brands. In this presentation, you will learn how 3D vision can easily solve robotic pick-and-place problems that are very hard to do with classical 2D camera technology. Robot users are looking for a way to teach a part-to-pick in one step, and for the robot to pick the best part available. We will show how combining new technologies, such as deep learning and 3D vision, can achieve the reliability industrial processes require. Robots are being brought to life by the gift of vision in applications all over the world. The quality and speed of image transmission is now a USP for OEMs and system integrators involved in designing and implementing vision systems in factories, surveillance operations, automated vehicles and surgical environments. Advancements in Machine Learning are also bringing exciting new opportunities to production lines. This presentation will examine the reality of HD digital video transmission in robotics and provide guidance on which technology and hardware will provide the most appropriate combination for your application. Where long cables, lighting-fast transmission and the use of slip rings present challenges, this talk aims to offer some solutions. Acrovision Hand-Eye Coordination – Cobots and Vision working together! With collaborative robots taking the Automation World by storm, many of their applications are in need of a Vision system to be the eyes of what it is looking for and where it is going. From Pick and Place to Machine Tending, Quality Inspection to Process Tasks, Cobots and Vision work together to become the perfect partners in a controlled and safe environment. And with the cost of both technologies coming down, such applications are now affordable for small to medium enterprises. Acrovision will take you through the benefits of working with Cobots and present examples of robot related 2D and 3D Vision applications.